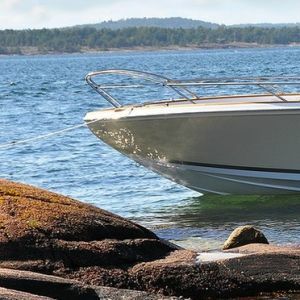 CORMATE T27 is a Norwegian-designed limo tender with an outstanding finish and great details, reaching top speeds of up to 57 knots. 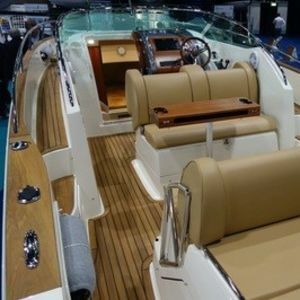 The T27 Supermarine model built by Hydro Design is an advanced, centre console day boat with a mini cabin, perfectly combining usability and comfort. 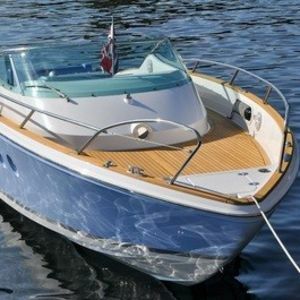 This 28ft tender benefits from an elegant sun bed that can also be used as an activity platform aft, and a sheltered sunbathing area in the bow. The rear seat backrest can be easily converted into a deckchair or a sunlounger. 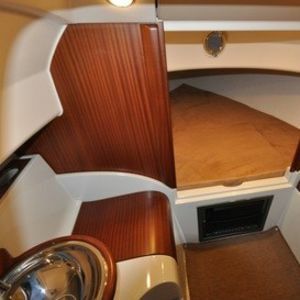 There is seating for 9 and dining for 4 people onboard this stunning limo tender, making her ideal for entertaining. CORMATE 27 features many optional extras, such as a water ski pole and fishing rod holders, anti-fouling and Teflon treatment, an extended canopy, Raymarine AIS/VHF unit with separate antenna, safety gates and a mini gas grill and electric water boiler. CORMATE T27 benefits from high rigidity, low weight and low fuel consumption. With a 370hp engine, she can reach top speeds of 57 knots, making her perfect for use as a high-speed tender, as well as a day boat. CORMATE T27 is based in the UK and is asking €175,833. Please contact Richard Callender for the full specification or to arrange a viewing.